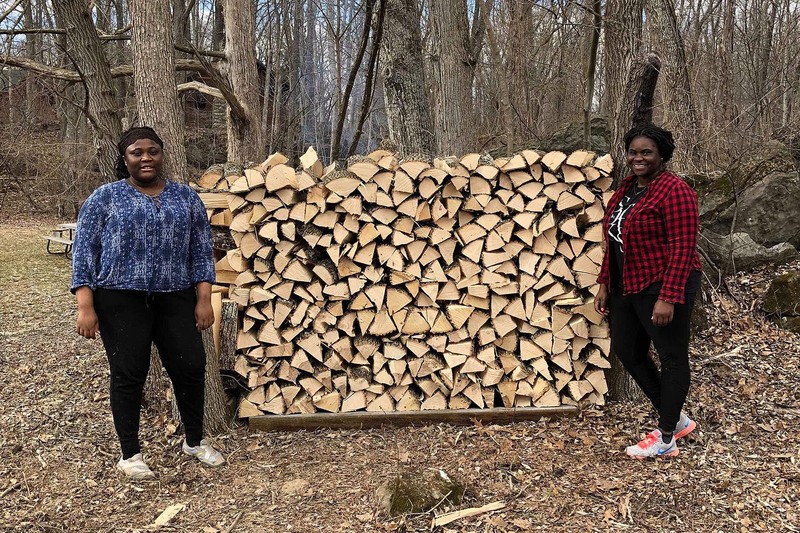 In the evenings, the group gathered to reflect on the day and discuss issues including self-care and learn new spiritual practices. 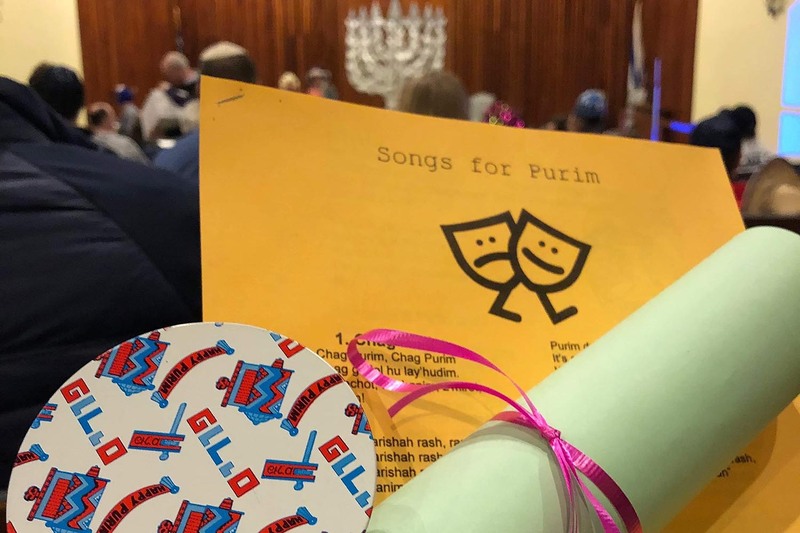 The group also attended a special service at a Jewish temple for the holiday of Purim and had the opportunity to dialogue with the rabbi and community leaders about Judaism. 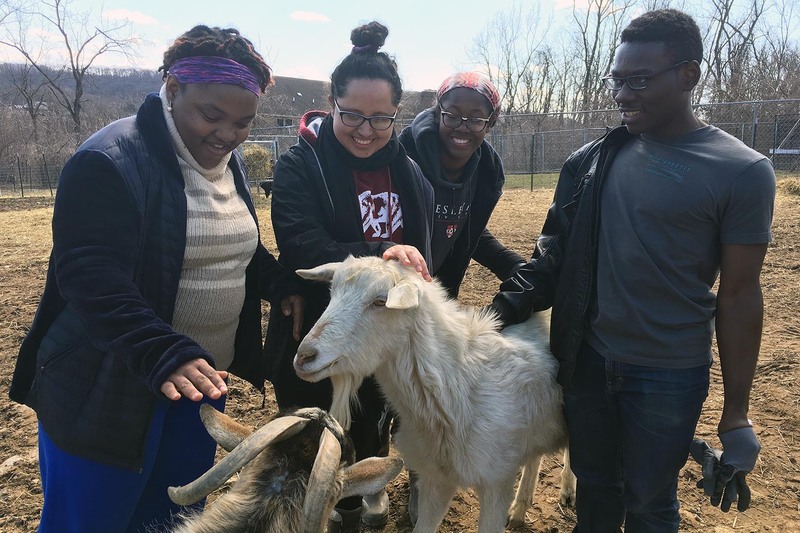 The group volunteered to work at the Barnyard Sanctuary in Johnsonburg, which houses more than 700 farm animals including goats, donkeys, horses, pigs, chickens, and rabbits. 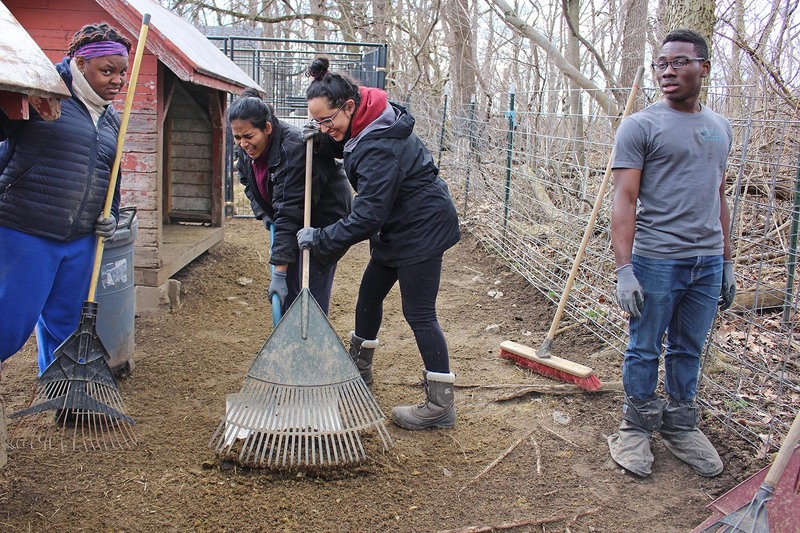 Students socialized with the animals and cleaned animal stalls. 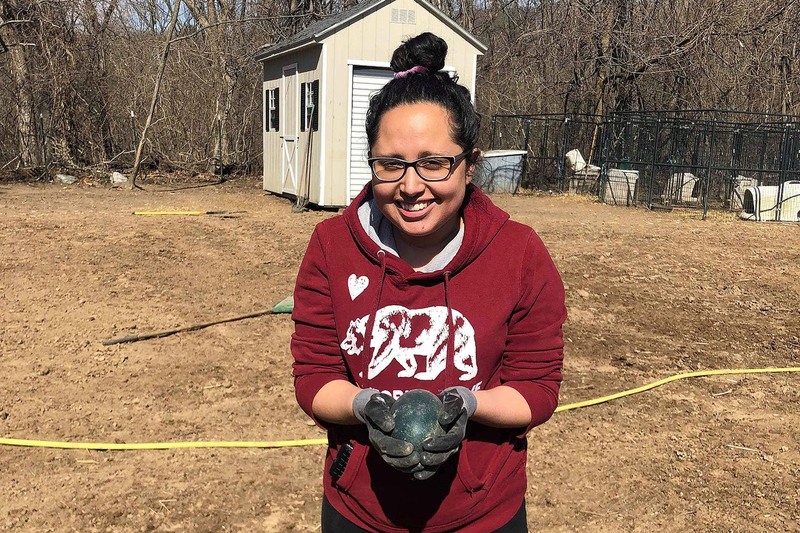 Fatima Sepulveda ’21 collects an emu egg at the sanctuary. 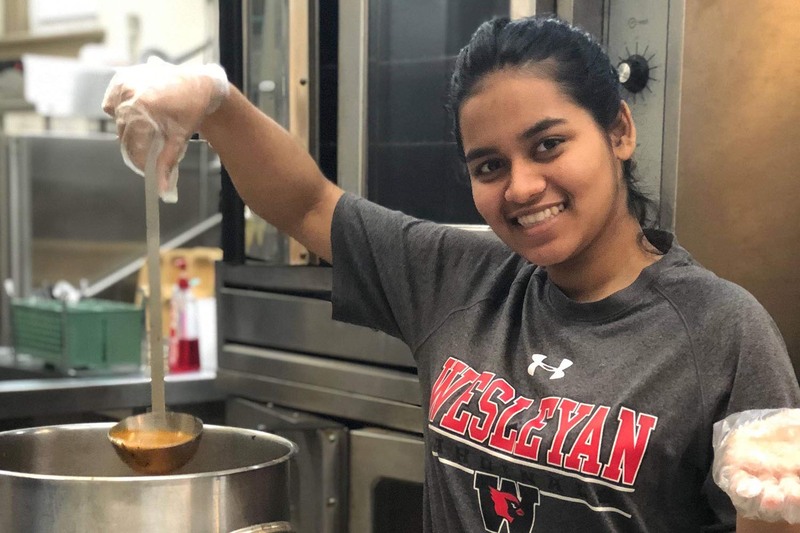 The group prepped and served food at Manna House Soup Kitchen, which is housed inside the First Presbyterian Church in Newton, N.J. 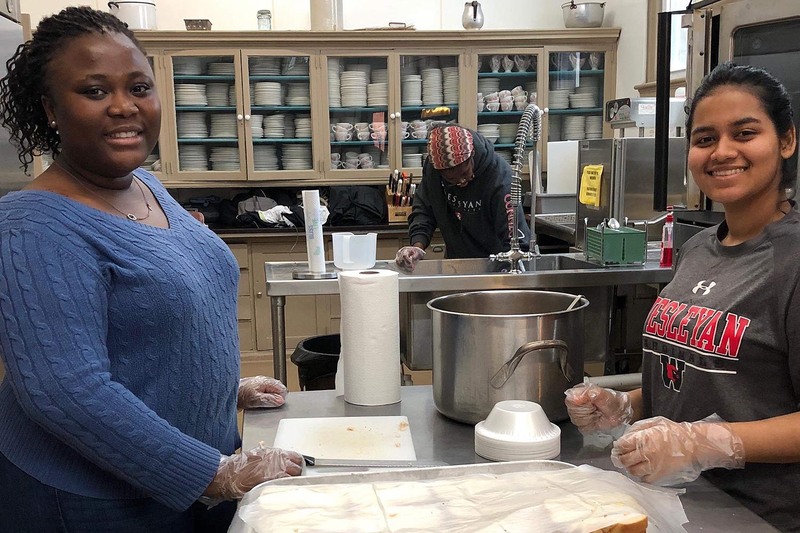 The mission of Manna House is to feed the homeless, elderly, mentally ill, lonely, and poor. The group interspersed their interfaith and volunteering events with games and social activities. 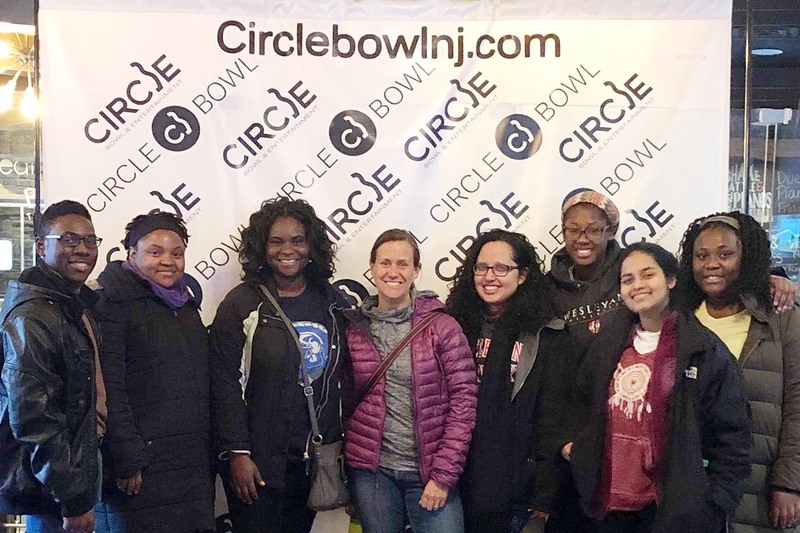 On March 18, they bowled a few rounds at Circle Bowl in Ledgewood, N.J. 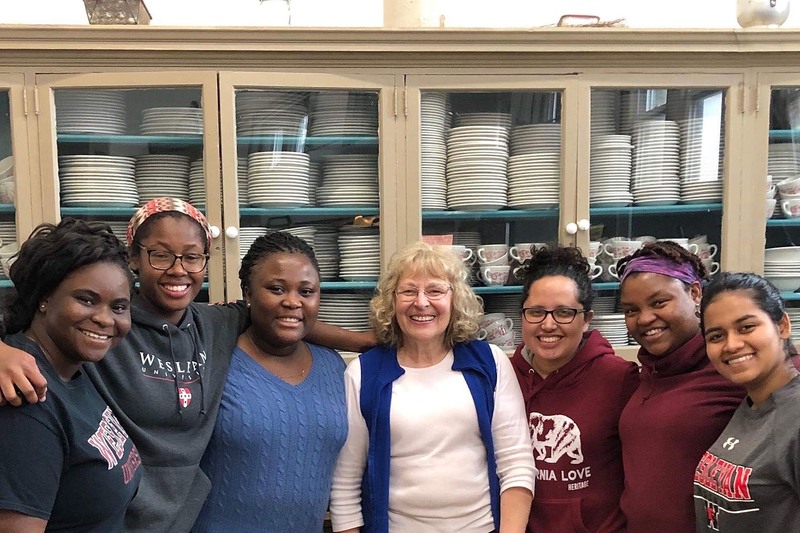 The group attended a service at Temple Shalom in Succasunna, N.J. 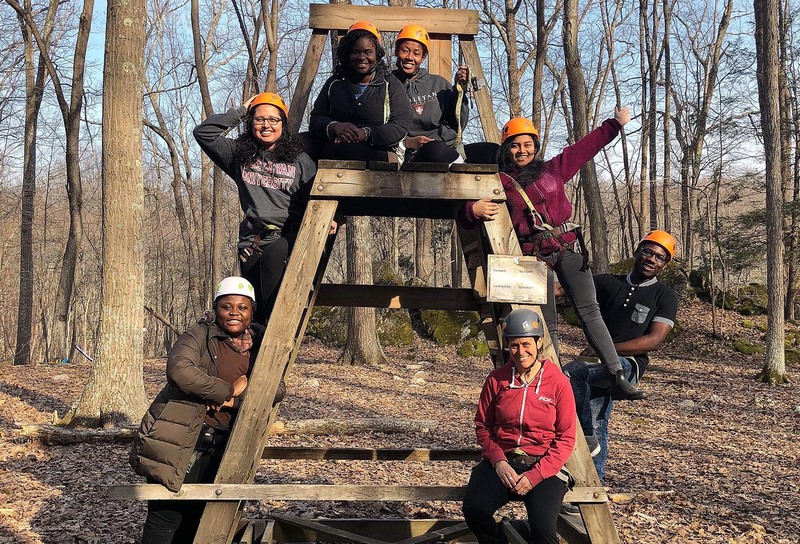 The camp property included a zip line. 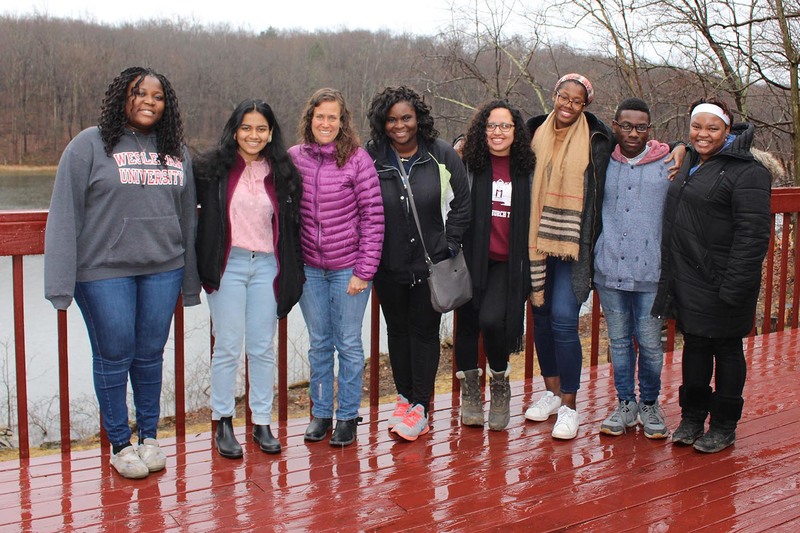 On March 22, the Wesleyan crew gathered for a final group photo at the camp prior to heading back to Connecticut.